We will be leaving the hotel between 8:50 and 9:00am towards the archeological site of Dzibilchaltún, which means “Place where there are writings on stone”, and also is one of the closest sites to the city of Mérida. 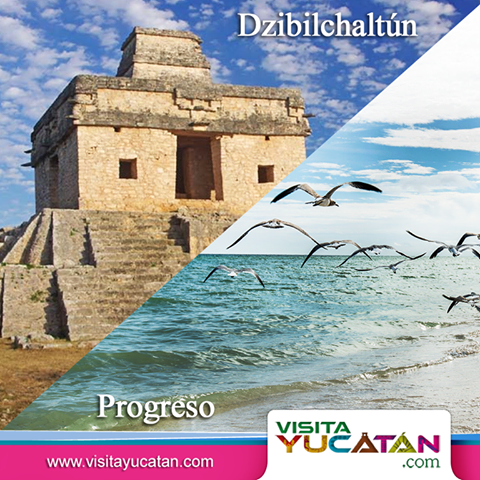 In Dzibilchaltún you will be able to admire the Temple of the Seven Dolls, visit the Mayan town museum, where you will be able to enjoy numerous representative pieces, and afterwards, take a dip into the Xlakáh Cenote. We will then continue our tour by heading to the beach of Progreso, where we will be able to take a stroll down the beach and admire the largest dock in the world, and, if you wish, enjoy an incredible meal by the ocean, at a local recommended restaurant. 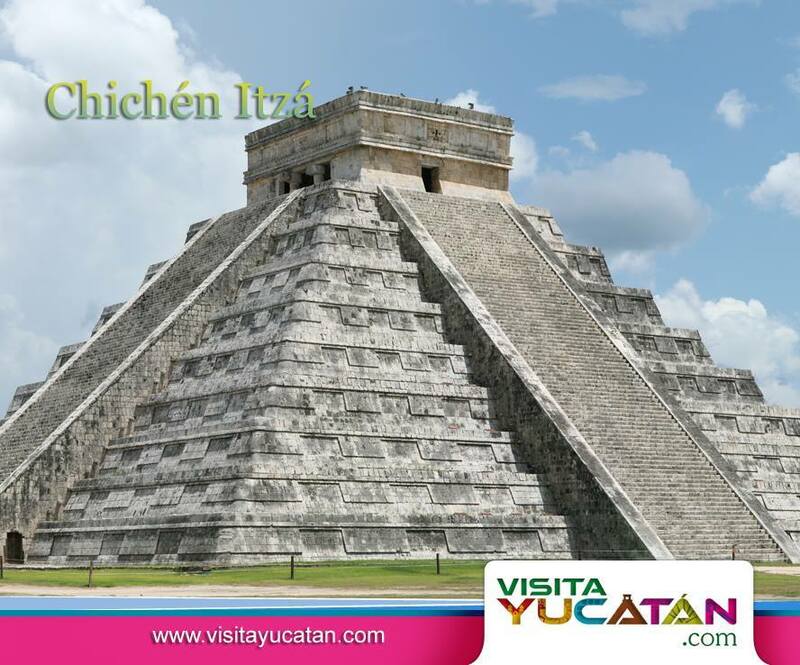 At 9:00am we will pick you up at your hotel to start our tour towards the enigmatic archeological zone of Chichen-Itzá, considered one of the seven wonders of the world; once there, the tour guide will show us around the different sites of interest, The enormous castle of Kukulcán, followed by the “Ball Game Court” known for being the biggest one in the Americas, then to the temple of the “Thousand Columns,” the sacred Cenote were beautiful damsels were scarified to the Gods, and Going through the “Observatory” known as the “Caracol” or “Snail” in English. After that we will have lunch at a renown local restaurant called “Xaybé” to enjoy a typical meal, to afterwards return to Mérida at around 17:00 hours. Includes: Transportation, Tour Guide, Food, and Taxes. Does Not Include: Admission Fees, Beverages and Tips. 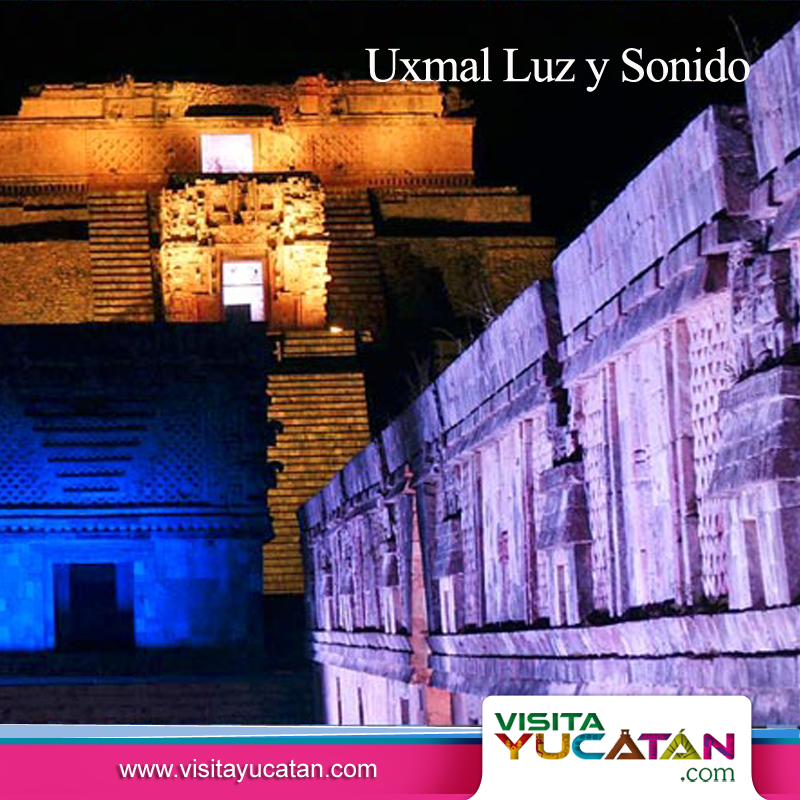 At 13:00hrs we will be picking you up at your Hotel to leave the city and onto the archeological zone of Uxmal, where you will enjoy a guided tour of the site and the main temples, such as “The Governor’s palace” “The Soothsayer´s Pyramid” and “The quadrangle of the nuns.” After the guided tour, we will be having dinner at a lovely local restaurant, to later on admire the lights and sound show. Includes: Transportation, Tour guide, and Dinner. Does NOT include: Admission Fees, Beverages, Tips. 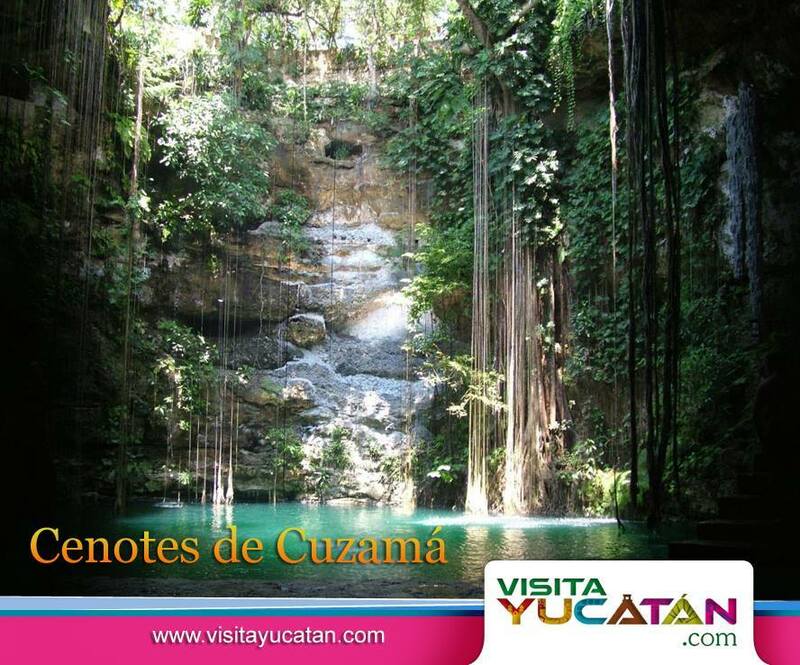 At 9:00am we´ll pick you up at your Hotel to begin the tour towards the cenotes, on the way we will pass through several settlements and old haciendas, which used to form a big part of the Yucatan´s economy. Once in the Cenotes we will board a “Truck” (Which is a platform pulled by a mule) on which we will travel 9 kilometers into old Henequen plantations and to the cenotes, where we will be able to swim in two of the three cenotes. After swimming we will go to a restaurant there to have lunch, to afterwards return to Merida at around 16:00 in the afternoon. Includes: Transportation on a van, Tour Guide, Food and Taxes. Does NOT Include: Beverages, Tips. Includes: Transportation round trip from Mérida, Travelers insurance, Towel Service and Hotel amenities, Breakfast and Lunch, buffet style, Snacks, National Beers, and Soda fountain. 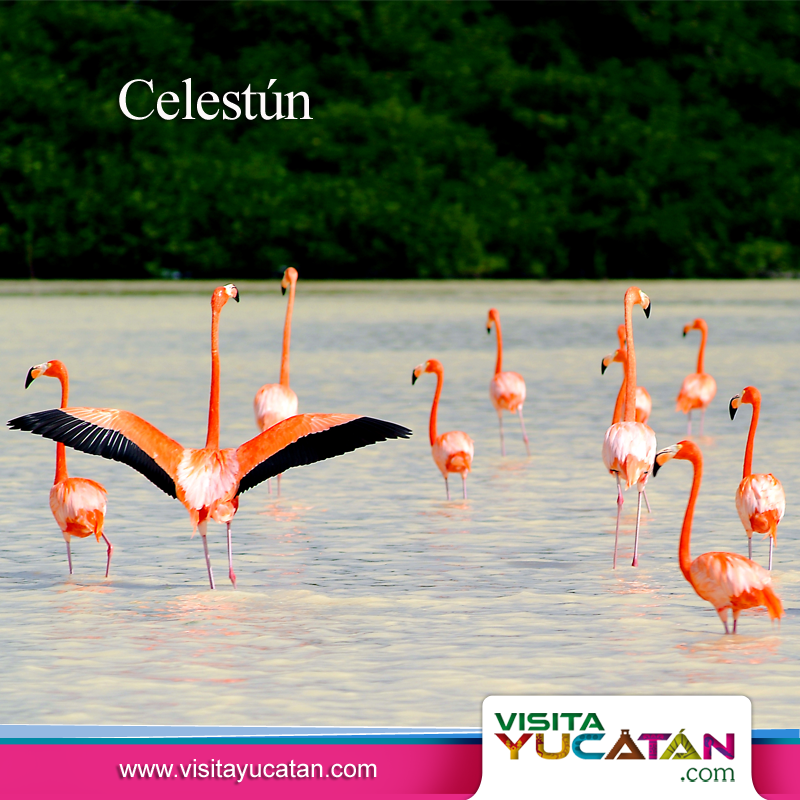 At 9:00am we will pick you up at your hotel and head to the Celestún biosphere, where, once there, we’ll take a boat and ride to admire the beauty of all the different species of birds that cohabit in this magical place, amongst them the Pink Flamenco. We will also visit the mangroves, stopping at the “ojo de agua” (Eye of Water) to take a refreshing swim. Afterwards we’ll go to the beach, also in Celestún, to enjoy the ocean view and a sea food based meal. Then we’ll head back to Mérida. Includes: Transportation, Tour Guide, Boat Ride. Does NOT Include: Meal, Beverages, Tips. At 8:00am we will pick you up at your hotel to start our tour towards the neighbor state of Campeche to get a glance of its beautiful capital, the city of San Francisco of Campeche, founded in 1541 by Francisco de Montejo, the same city that suffered by decades the pirates’ attack, which originated the construction of fortresses and strongholds to hold back those attacks. In this trip you will see the Fort of San Miguel, the Fort of Santiago, the San Juan Stronghold, The door of the Land and the door of the Ocean, the historic center and its beautiful Cathedral. 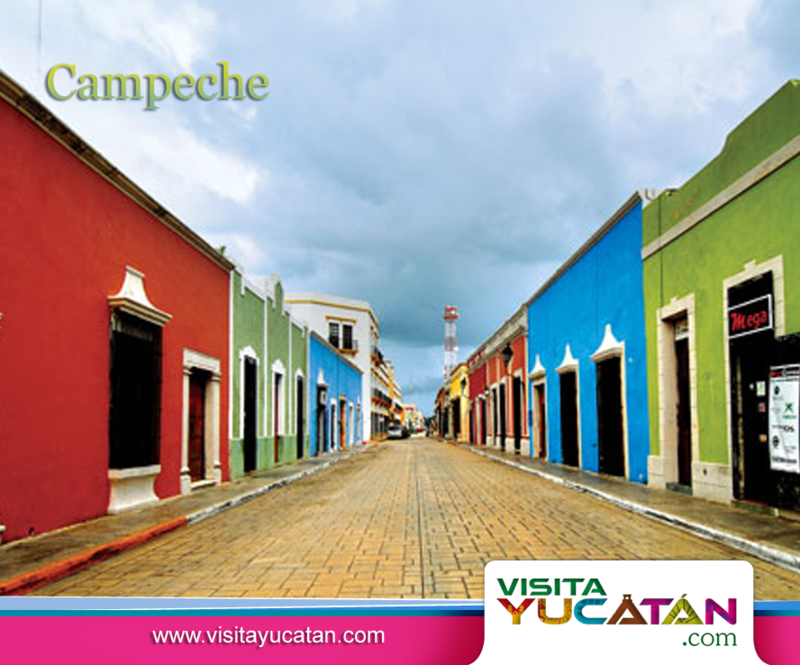 We will finish the visit with a meal in one of the famous folkloric Restaurants of Campeche. We´ll return to Mérida at the end of the Meal. Includes: Transportation with air condition, Tour Guide, Admission Fee to the Museum. Does Not Include: Meal, Beverages, and Tips.